The pressure distribution measuring platform is classified as a medical device class Im. The CE declaration of conformity is issued by zebris Medical GmbH. The CE declaration of conformity for the used treadmill ergometer is issued by h/p/cosmos sports & medical gmbh. incl. 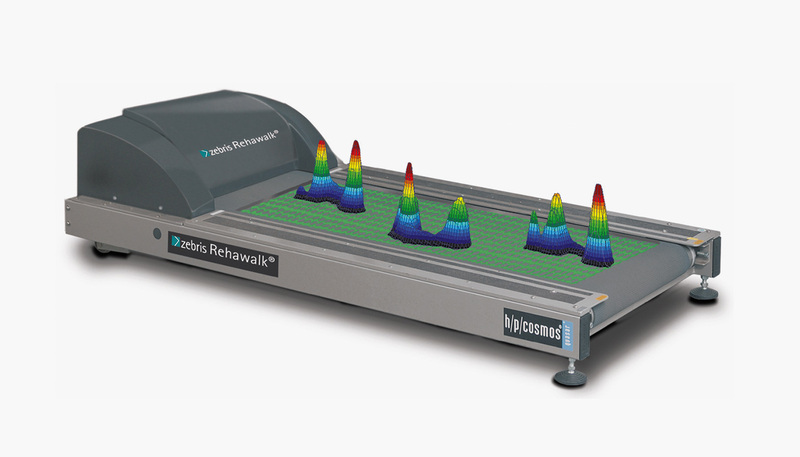 software Win FDM for gait analysis. This article contains only the OPTION for the measurement deck but not the basic treadmill. The basic treadmill with running deck 150/50 has to be ordered separately. The price for this option is only if purchased initially with the treadmill. In case of later retrofitting additional costs arise for travel expenses, shipping costs and labor costs.